Disability Action Center in Redding Provides Needed Durable Medical Equipment | Where It's AT. The Ability Tools Blog. Deborah at the Disability Action Center (DAC) in Redding, California received a phone call from a physical therapist at the Oak River Rehabilitation Center in Anderson, California. Lonnie had just had heart surgery and was in desperate need of a scooter or wheelchair. Deborah called Lonnie up that day, and she learned that he and his wife had recently moved to Redding from Arkansas due to his long term health issues. In addition to his heart problem, Lonnie has respiratory issues and needed to live in a dryer climate. Lonnie told Deborah that he and his wife have been just barely getting by financially but that they fortunately had found housing. He seemed relieved when Deborah explained that all of the DAC’s Reuse program services were free. Moreover, he was very excited when Deborah told him that she had a scooter for him. She explained that it needed new batteries and that could take a week or two to buy and get them installed. He was so pleased about the open-ended scooter loan and was in shock that he was going to get to use the scooter for free! Deborah was able to purchase the new batteries through our Keep the Wheels Rolling Repair Fund. 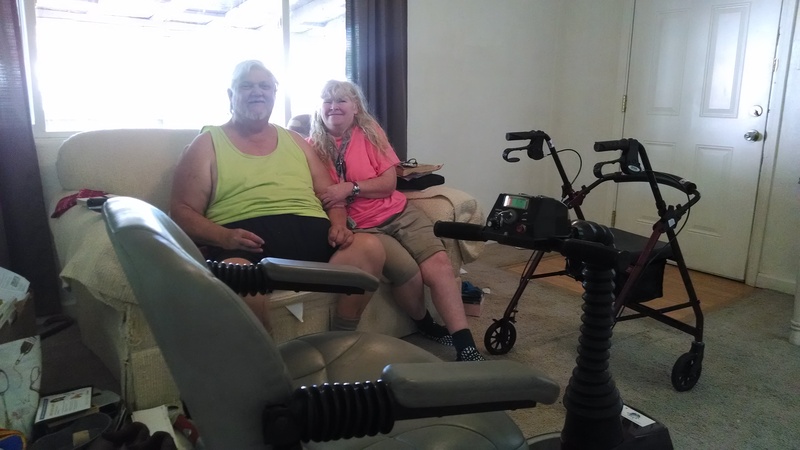 Shortly after the batteries were installed she delivered the scooter to Lonnie with their accessible vehicle also funded through Ability Tools. Lonnie and his wife told Deborah that they were just astounded that their prayers were answered. Do you live in California and need assistive technology? Check out Ability Tools at www.abilitytools.org to see if we have the AT assistance that you need! ← Financial Loans for Assistive Technology Now Available in California!